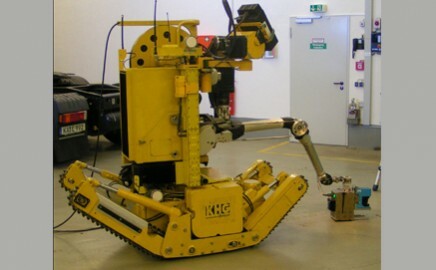 Remote-controlled, radiation-resistant intervention vehicle for monitoring, inspection and maintenance work, for indoor and outdoor operation. 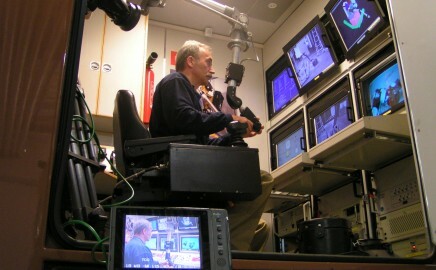 4 video cameras, and components necessary for transmitting data between the LMF and the control centre. 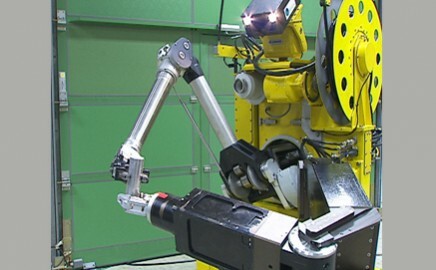 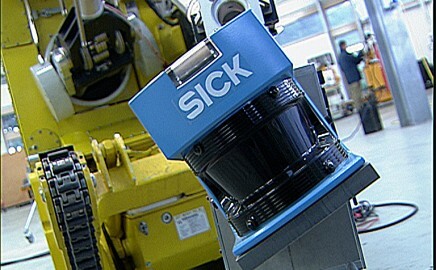 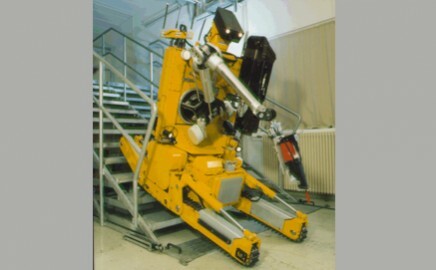 The vehicle has an adjustable chassis geometry which enables it to overcome obstacles such as stairs, pits, steps etc.